Are older consumers unworthy of innovation? Why is it that innovation seems to be the unique domain of younger consumers? 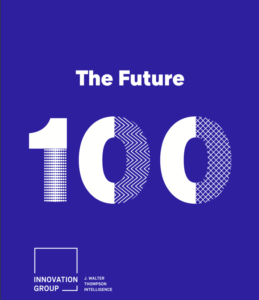 Each year I look forward to The Future 100 report published by JWTIntelligence. It’s a snapshot of the year ahead and the most compelling trends, themes and phenomena. A fascinating read which you can download via the link here. However, there’s something obvious by its absence. That is the complete lack of innovation around arguably the largest, fastest growing and wealthiest segment of population in most developed countries, the over-50’s. It’s a sad reflection of the business world (and an indictment on the authors of this otherwise fine report), that older consumers don’t seem relevant or worthy of innovation. I’m not just talking about better hearing aids or walking frames (important and in need of innovation as they are) I mean the full spectrum of products and services required by people, regardless of their age, but which were designed with only a younger consumer in mind. These days, we should not be merely innovating around customer needs on an age/generation basis, we should be rethinking the customer experience as one which delights and surprises customers of all adult ages and life-stages, including older people. Surely, to do less is a form of ageism? Talk to us about our experiential innovation workshops. Hearing aids set to boom but what's holding them back? Is the beauty industry changing the way it thinks about ageing, or is it just a new spin?